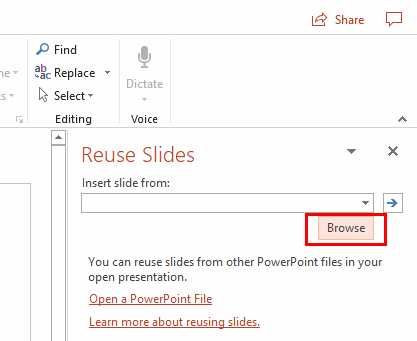 How to easily import slides from another presentation in Microsoft PowerPoint 2019, 2016 or Office 365 with these instructions. 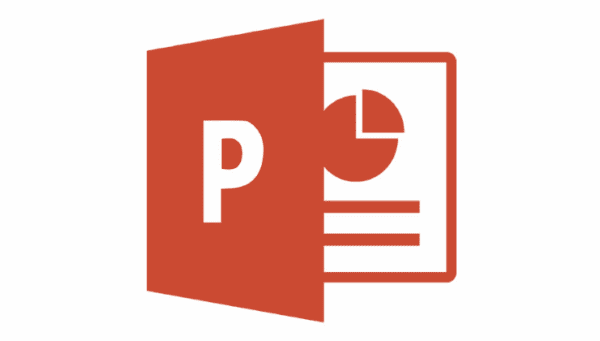 Open PowerPoint and open the file you wish to import slides into. Choose “New Slide” > “Reuse Slides…“. The “Reuse Slides” options will appear on the right side. Select “Browse…“. Navigate to the file that you wish to import slides from. Select it, then choose “Open“. 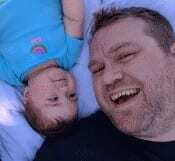 Locate and select the slide(s) you wish to import. If you wish to keep the formatting of the imported slides, select the “Keep source formatting” check box. If you accidentally import an unwanted slide, use the CTRL + X keyboard shortcut to undo the last change or right-click the slide and select “Delete Slide“. I have a problem in that Notes Pages for Reuse slides are no longer A4 and so footer and page numbers appear “off page”. Why does Reuse change the size of the paper of the inserted slides?